Collectors everywhere: get your wings! 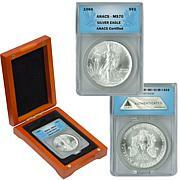 Don't miss your chance to own a magnificent proof Silver Eagle from the first year of mintage. It comes with a certificate of authenticity in original government packaging and makes a great addition to your collection. 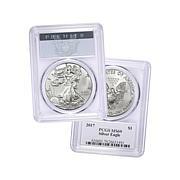 Inscriptions include "Liberty" and "In God We Trust"
Inscriptions include United States of America", "1 oz. 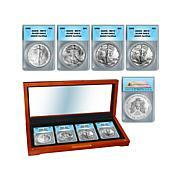 Fine Silver", "One Dollar" and "E. Pluribus Unum"
Just received and is in wonderful condition!Just As Shown! Awesome coin and I was extremely please with the beautiful packaging. Well worth every cent I spent. This coin is suposed to be a proof but I can see flaws on the coin. Maybe because its old? 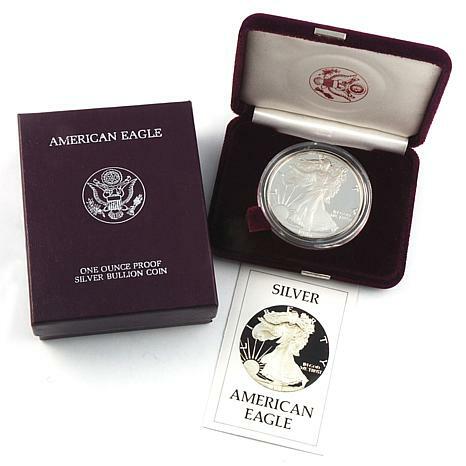 Nice silver eagle tho.